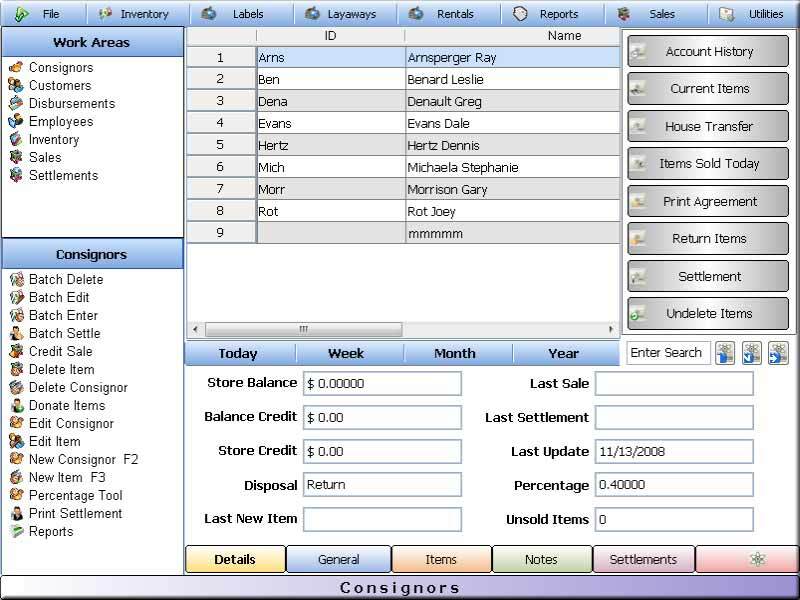 Free Intro Consignment Software. Limited to 30 consignors. Track consignors. Process sales and settlements. Print pre-filled consignment agreements, address and price labels. Data refresh, backup, restore. Free email support. Built-in Training Panel. Recent major upgrade using FoxPro 9.0.